Almost every Merchandise Forensics project illustrates channel differences that run opposite of what the "One Customer, One Brand, Many Channels" audience preaches. We're told that in an Omnichannel world, we need to offer the same products at the same prices in every channel, coupled with a unifying story (#content, preferably #digital) that ties the whole thing together. 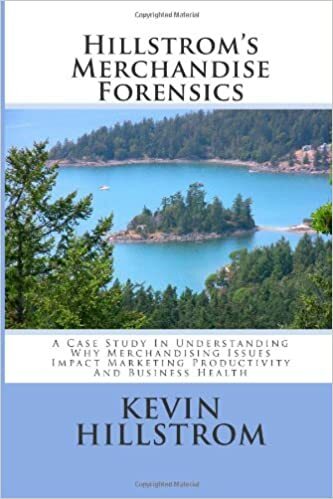 When you run a Merchandise Forensics project by channel, you immediately see fundamental differences in customer behavior ... differences that make it clear that each channel possesses customers with unique behavior. 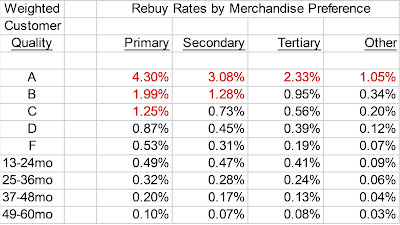 Ever wonder why affiliate buyers have such low repurchase rates? Because they only purchase from the inexpensive spectrum of your merchandise assortment ... and they need a discount to purchase. Your paper-based strategy of full-price items is never going to work, ever, to this customer. Then you grumble that this customer has low lifetime value ... you caused this by having a robust affiliate marketing program!! Email should be the voice of the brand, right? Instead, email is the voice of discounts and promotions (look at what companies do to non-cookied customers ... sign up for email and get 10% off ... who are you going to attract with this strategy?). Not surprisingly, only a subset of the customer base interact with email marketing, and their preferences are for inexpensive items tied to promotions. Analyze your email marketing metrics, and you'll think you are doing well. Analyze email performance via a Merchandise Forensics framework, and you'll be frightened by what you learn!! 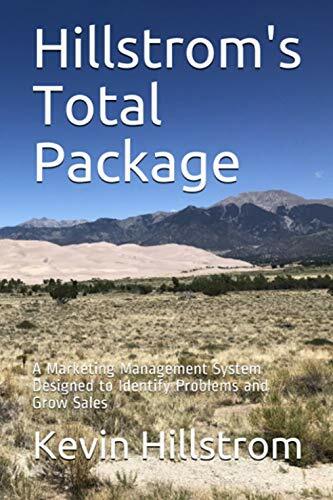 Old-school catalogs tend to align with winning products ... keep going down that path, and the assortment gets stale and the customer audience ages ... this is a very common outcome. Retail often aligns with newness. From there, the results get messy. Each brand has a unique relationship with each channel (affiliates, search). Just be sure to analyze each channel. On average, the biggest bang for the buck with new items comes in nearly-free digital channels like email. Instead of blasting out promotional messages, try praising new items at full price in email campaigns. You have 4-5 of these things a week, why not dedicate 1-2 of them to promoting new items instead of promoting promotions? The key, of course, is to realize that each channel has modestly different customers with modestly different preferences. You've been taught the exact opposite of what nearly ever Merchandise Forensics project illustrates. You've been taught that sameness wins. The data shows that unique merchandising approaches by channel is what wins.